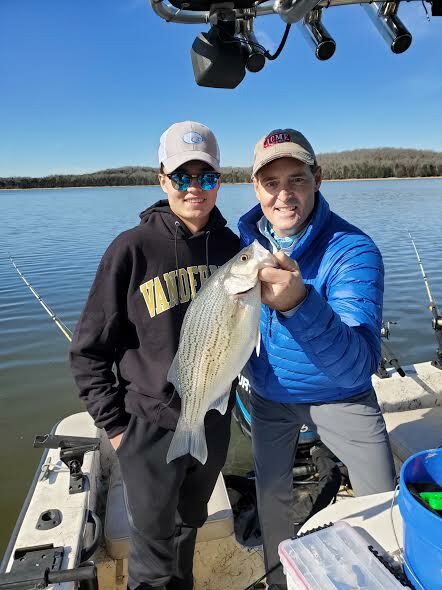 » Blog » Winter fishing has been hot! 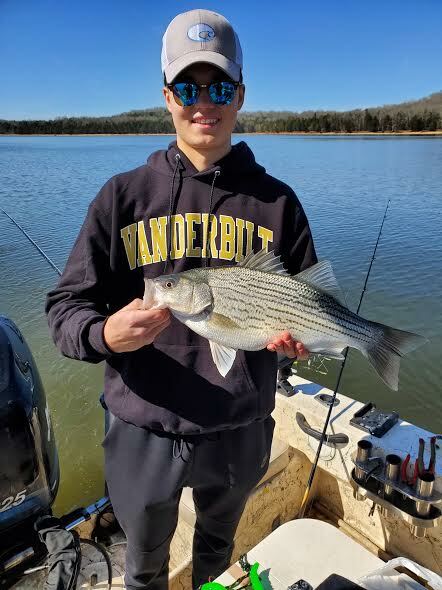 We’ve been having some awesome days this month catching hybrids on Percy Priest. 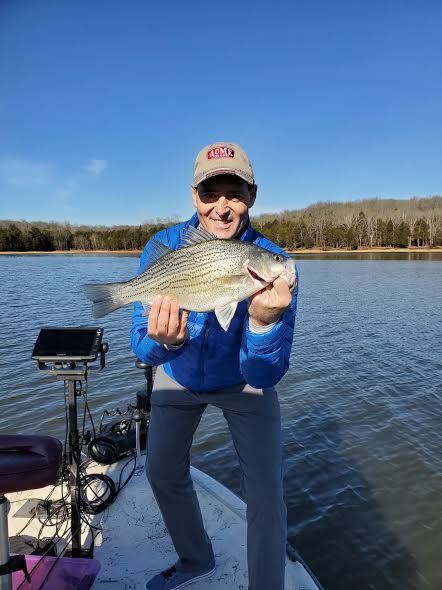 Fished with Robert and Hays yesterday, had a very slow start. 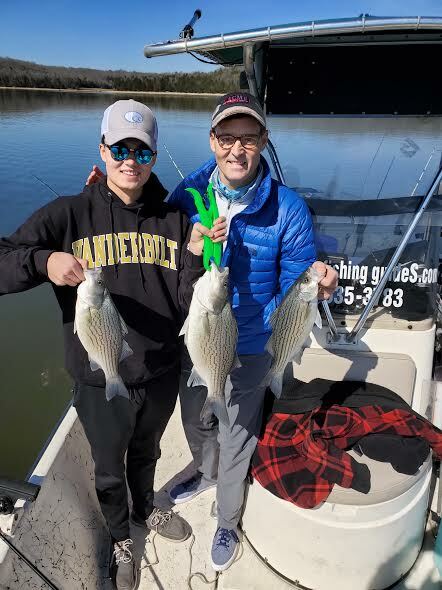 Went to the area where I had clients who caught 43 fish the day before….and caught 3 white bass, no hybrids! So we moved on to plan B..slow going at first but around 10:00 things fired up. They wound up boating 36 fish, not too bad for a cold front, blue skies, full moon day. Enjoyed my time with two very experienced fishermen, makes for an easy day for me. Thanks Robert , hope to see you guys again.